011819 - Senator Elder Vogel, Jr. 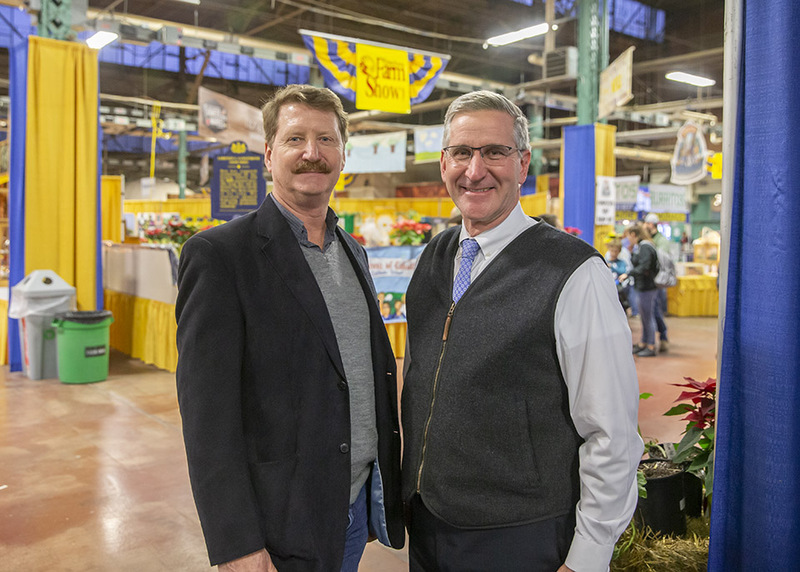 It was a pleasure to sit down with Secretary Russell Redding and discuss what’s going on in Pennsylvania agriculture during my visit to the annual PA Farm Show. To watch the full video on my website, please click here. I am honored to have been reappointed by President Pro Tempore Joe Scarnati to serve as the Chairman of the Senate Agriculture and Rural Affairs Committee for the 2019-20 Legislative Session. I have chaired the committee since 2012, and it is a privilege to continue to do so. The Agriculture and Rural Affairs Committee considers legislation and holds hearings on issues pertaining to agriculture in Pennsylvania and provides review and oversight on regulations proposed by the Pennsylvania Department of Agriculture. I look forward to continuing our efforts to support agriculture in the Commonwealth, promote Pennsylvania-made farm products, and address the diverse issues facing the state’s rural communities. My other committee assignments for the 2019-2020 Session are expected to be announced in mid-January. I served as a member of the Appropriations, Banking & Insurance, Communications & Technology, Environmental Resources & Energy, Labor & Industry and Majority Policy committees during the recently completed 2017-18 Legislative Session. The 2019-2020 legislative session in the General Assembly is underway. Looking back, school safety, the opioid crisis, domestic violence, veterans and more key issues were the focus of legislation passed by the Senate in 2017-2018. Check out more than 100 bills of note, organized by topic, by clicking here. It’s still not too late to get a flu shot, which can often diminish the severity of symptoms a person might experience. Flu shots are available at your doctor’s office, pharmacy, local walk-in clinic or grocery store. Everyone six months of age and older should get the flu vaccine each season. The number of influenza cases escalated statewide heading into 2019. The severity of flu seasons varies widely from one season to the next. The number of flu-associated deaths in the United States usually ranges from 3,000 to 49,000 deaths per year but can be much higher if a new strain develops to which no one is immune. For more information from the PA department of health on the benefits of the flu shot, please click here. The Pennsylvania Department of Military and Veterans Affairs encourages veterans to use the New Year to review their benefits with a professional to ensure they are receiving the benefits earned through their service. All veterans should occasionally check with a Veterans Service Officer to see if changes in a veteran’s circumstances or changes to benefit policies may have modified the programs a veteran may be eligible to receive. Veterans should take these important steps to secure their benefits, and there are numerous accredited Veterans Service Officers and organizations eager to help. The Pennsylvania Department of Environmental Protection (DEP) announces continued reductions in both the review time and backlog of pending permit applications, and debuts two modernization and efficiency measures that will continue to increase permitting efficiency. DEP formally opened the Regional Permit Coordination Office (RPCO), a centralized permitting office to assist with construction permitting and coordination related to erosion and sediment control and water obstruction and encroachment. Specifically, the RPCO will assist with construction permitting for large-scale, multi-county or multi-regional infrastructure projects, such as pipelines and highways. In the past year, DEP’s Southwest Regional Office reduced backlog of permits in the region by more than 75 percent and shortened its review timeline for erosion and sediment control general permits by more than 220 days. I was once again happy to compete in the Celebrity Draft Horse Event at the 2019 Farm Show. 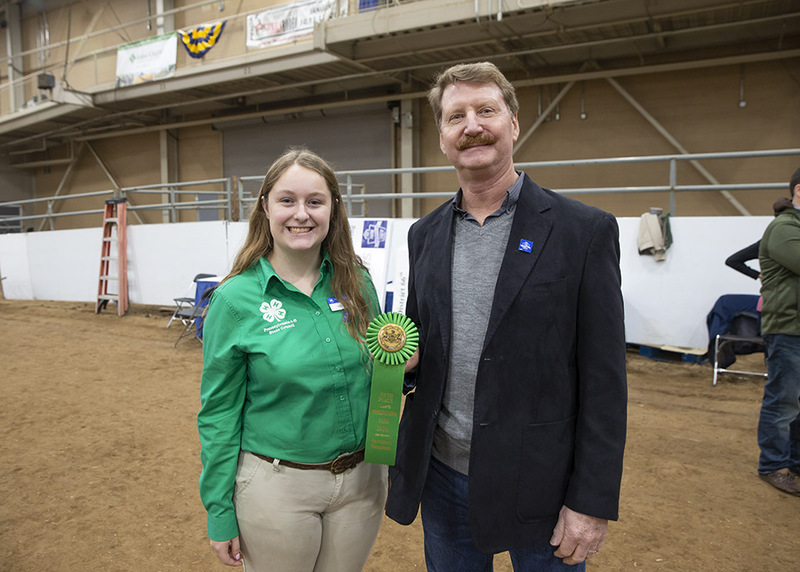 My thanks go out to Julia Jumper, a 4-H State Council Member, for helping me during the event! High schools now have until Jan. 25 to submit ideas for PennDOT’s Innovation Challenge, which this year asks: Aside from laws and educational campaigns, what cost-effective, innovative solution can be developed in the next five to 10 years to get drivers to slow down in work zones? Every day, construction workers on Pennsylvania roadways face a dangerous threat in work zones. Despite increased enforcement efforts, work zone signage placed miles in advance, and smartphone alerts, drivers continue to commit traffic violations in work zones, which sometimes lead to crashes and other dangerous, life-threatening situations, or tragically someone being killed. The statewide winning team will be chosen from among regional winning teams across the state. Each PennDOT regional office’s winning team members will receive certificates. The regional winners will be invited to Harrisburg to present their innovative solutions in front of the PennDOT Secretary and a panel of judges. For more information on how to submit or project guidelines, please click here. 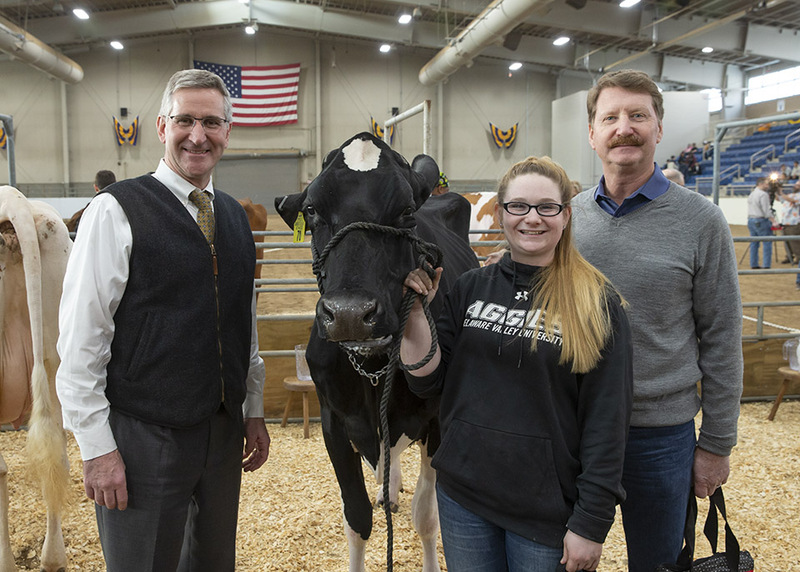 I had a great time being involved in the 2019 Farm Show Celebrity Milking Contest. It is always a fun and exciting event for all to enjoy. The Beaver County AARP Tax-Aide program is offering help to low- to moderate-income residents prepare their tax returns free of charge. The program, which is being assisted by the United Way of Beaver County, aims to help taxpayers with low or moderate incomes. Pennsylvania farmers and ranchers can sign up for free webinars to help manage risk by understanding crop insurance and make informed purchase decisions. Offered by the Pennsylvania Department of Agriculture and other entities, the webinars cover which crop insurance products are available, which risks are covered, how different types of insurance work, available policy options, how to navigate the application process, and where to go for additional information and help. To access these webinars, please click here. Winter is the best time to test your home for radon, an odorless, naturally occurring, radioactive gas that’s the second-leading cause of lung cancer. Pennsylvania has one of the most serious radon problems in the country. About 40 percent of Pennsylvania homes have radon levels above the EPA’s action guideline of 4 picocuries per liter. Testing is the only way to know if your home has elevated levels of radon, and it’s easy. For more information on the PA Department of Environmental Protection’s Radon Division, please click here.